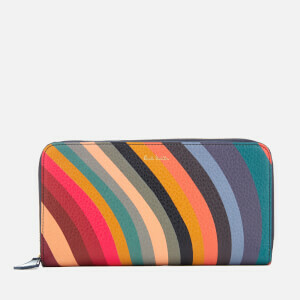 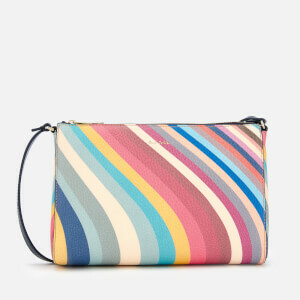 Paul Smith multicoloured swirl make up bag. 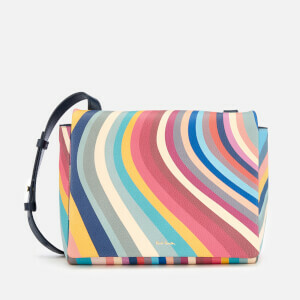 The grained leather cosmetics bag is designed with a zip around closure that opens to reveal a navy canvas interior, which offers enough room for cosmetics. 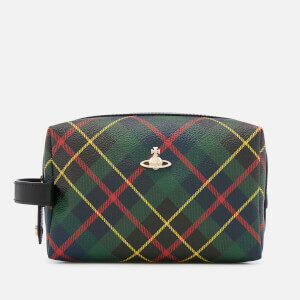 Presented in a branded dust bag, the compact make up bag is finished with gold-tone hardware and Paul Smith signature gold foil branding at the front.